You don’t want to be stuck wishing you hadn’t put off researching snowblowers once the first storm of winter hits. I spent exactly one season cursing myself as I shoveled out my drive each morning that I hadn’t planned better through the fall for the winter squalls of the Northern state I lived in. Luckily even if you have been procrastinating, we live in a day and age where research for your best product is literally at the tips of your fingers- and you can get a product to help you get through the winter with ease. 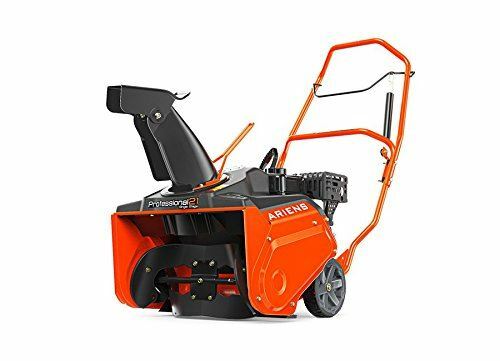 Ariens snow blowers have been making tracks since the 1960’s and have built up a pretty reputable name through the years. They have a wide range of model choices to meet the needs of everything from small yard clearance, to commercial business support. Plus, their integrated traction systems found on some models make short work of steep, hilly grades to keep ice and snow from causing issues with access to your property. WHAT IS THE ARIENS COMPANY? 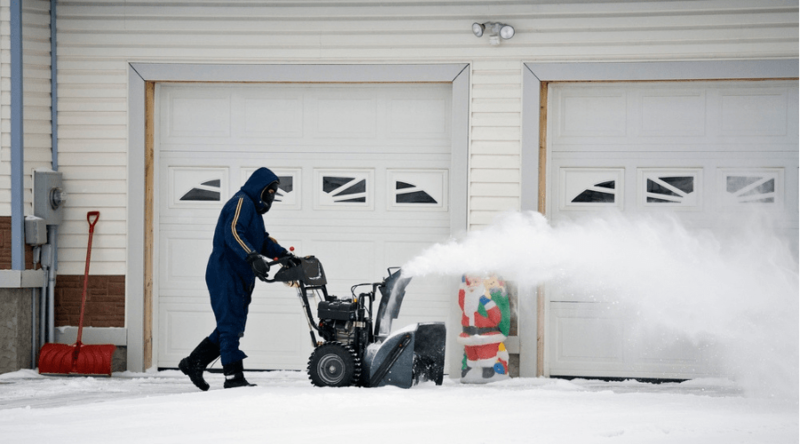 WHY CHOOSE AN ARIENS SNOW BLOWER? The Ariens Company was born in 1933 in Brillion, Wisconsin when the founder built his first rototiller in his garage. By 1945 the company had been recognized for its helpful products, as well as their support of World War II through their innovative mobile mortar cases. When they entered into the lawn and garden market shortly after with a riding lawn mower, the company truly took off as a Midwestern household name. In 1960 they introduced their first snow blower, and where better to perfect a snow throwing machine than in an area that can measure their average snowfall in feet, rather than inches? The company takes pride in their family name, with a local museum dedicated to showing how machinery helped shape the American landscape, to partnering with current education STEM (science, technology, engineering, and mechanics) programs to help expose students to the science of the working world. With over 3 billion gas powered snow blowers sold since 1960, the Ariens name has become a lasting product in many households. Through the years the company has applied new and innovative technologies, and worked with consumers to meet the needs of property owners all over North America. 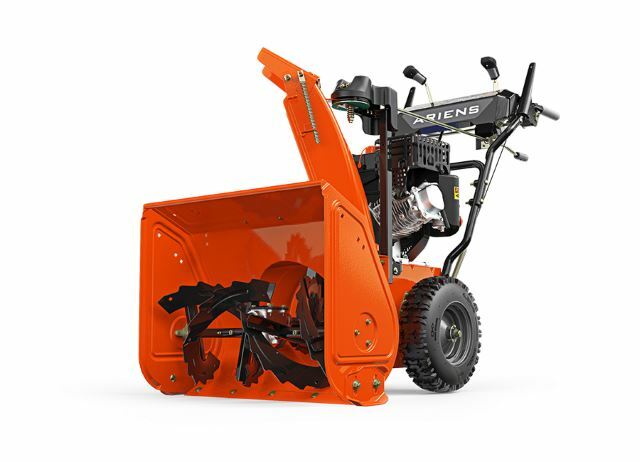 Ariens also offers an interactive snow blower selector to help you sift through their many models to ensure you get the best product for your specifications surrounding snowfall and personal preferences They also offer what is considered excellent customer support, and a very comprehensive warranty. Snow blowers all come with a 2 to 3 year warranty depending on the model you choose (commercial use has specific limitations). This protects against defects in material and workmanship. 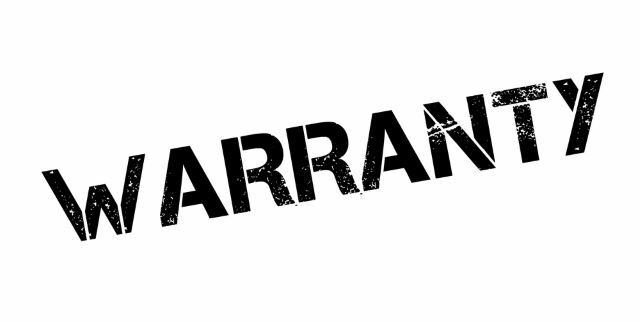 Authorized dealers repair or replace the parts in question free of charge within the time limits given. Extensions to certain parts are also offered for extra cost, and peace of mind. Currently Ariens offers 25 models across 9 different series of blowers, both in single stage, and dual stage availability. 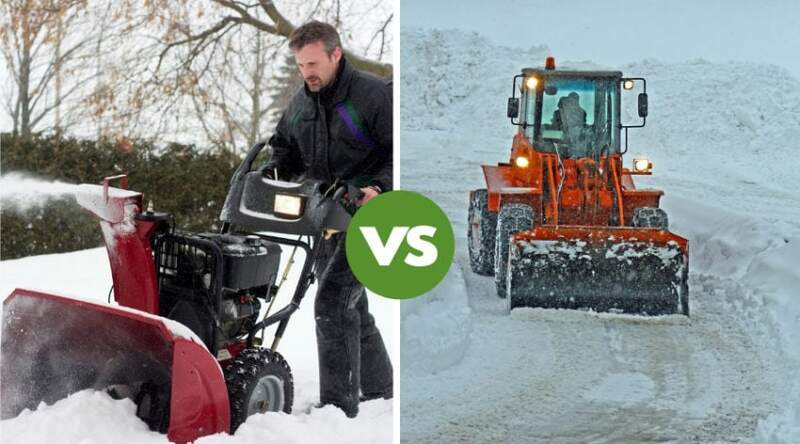 At first glance it seems like a lot to sift through, but their snow blower selector and comparison tables can help you find what you are looking for with very little hassle. Plus, their customer service is considered to be top notch, so answers to the questions you may have are easy to get at. Below I’ve highlighted the different series starting with the most compact, single-stage blowers first, and working up through seriously powerful, large machines built to handle anything the winter weather can throw at you. Offered in two models, this is a powerful, single-stage, commercial grade tool in a compact body. Built to be hauled from site to site to help clear properties, it comes with a smart lift system to aide you in loading and unloading without fatigue. The durable steel housing ensures a long life being hauled from place to place, and the spring loaded scraper bar keeps your clients (or yourself) looking over your cleared walkways with pride. Take your pick between a manual, or remote chute to make your work even easier. Lightweight and easy to maneuver, the single-stage Path Pro is offered in four different models. These are durable and powerful, and are made for homeowner use to make short work of light to moderate snowfalls. Able to handle up to 8 inches of snow, they can move 48 to 57 tons an hour. Electric starts and optional remote chutes make you job even easier, and each model includes an easy maintenance hatch to ensure you can keep your machine running smoothly. Scraper bars help keep a smooth, clean surface to avoid snow and ice buildup due to vehicle compaction. The smallest of the two-stage models, the Classic comes in only one design to help provide powerful, compact durability. 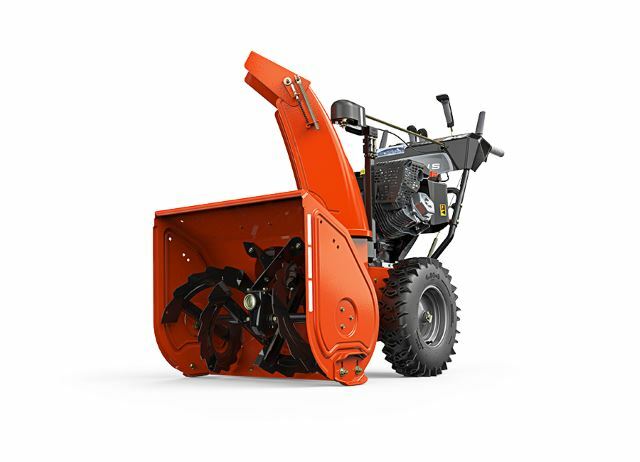 With a big, 24 inch clearing width, the design is made to provide one handed operation of the serrated steel auger which aides in throwing snow up to 40 feet away. An electric start allows you to fire it up and get working with ease, and the remote chute can pivot 205 degrees to get snow where you need it. The all steel body construction and top loaded aluminum gear case provides you with accessibility, and housing that will last decades when properly maintained. Three models are offered within the Compact series that is built to provide dual-stage power in a compact, storable tool. These are made for durability both at home and commercially. The 12 inch impellers can move up to 59 tons an hour depending on the model, and the large tread, 15 inch tires ensure you move over the ground with ease without slipping or losing traction. Remote chute and cap rotation allows for getting snow out and up when needed so extra passes in heavy snowfalls, or later in the season become a thing of the past. Plus the folding handlebars allow you to store this machine with ease without wasting space in your garage or shed during the warmer months. Considered a “no nonsense beast” by the company who makes them, the five different models found within the Deluxe series are built for optimum efficiency and power. A 14 inch high serrated auger makes short work of packed, icy snow, and the auto-turn steering keeps you moving with ease. The impeller is also capable of clearing 62-72 tons of snow each hour, and can throw it up 50 feet depending on the model. A dual belt drive within the all steel housing is what helps keep this machine powered up, and running despite the wear you may place upon it. When combined with an optional electric fuel injected engine, you get an efficient tool that uses less fuel- and works more consistently through the worst Mother Nature can throw at it. Considered the top end of residential machines, the four models found in the Platinum series have it all. Everything from heated handgrips to auto turn steering technology makes this a premium product worth taking a closer look at. 73 to 83 tons of snow can be moved and thrown up to 55 feet depending on your model of choice, and combined with a 21 inch housing height, you can tear down drifts in no time. 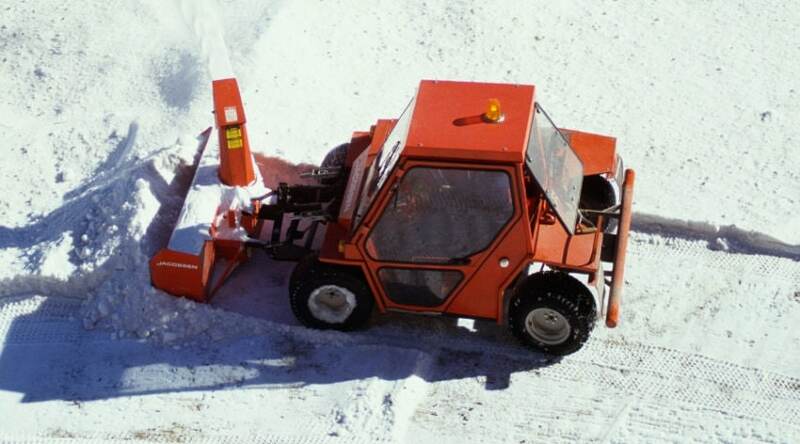 Built for areas that receive regularly large amounts of snow, you can clear just about any size property in no time. Plus, it is built to last with a cast iron gear case, all steel frame and dash, super high output (SHO) impeller for maximum longevity and efficiency. 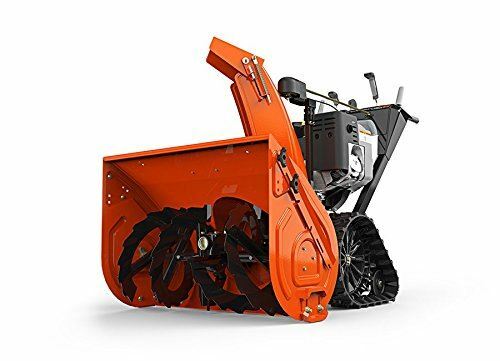 If you are series about clearing snow, whether at home or as a professional, this huge 23.5 inch housing and 16 inch serrated auger doesn’t mess around. Clear up to 102 tons of snow an hour, and throw it up to 60 feet with one of the four models offered within this series. Plus, you have a choice of 28 to 36 inches of clearance width- some of the widest in the industry for residential use. It is also equipped with the EZ-Launch system that requires a simple turn of the key and one pull to get you going each and every time with no hassle or cords to plug in. The dual belt drive is also featured in this model to keep you moving with less wear over time, and when combined with an all steel frame and dash, you have a durable piece of equipment to depend upon. 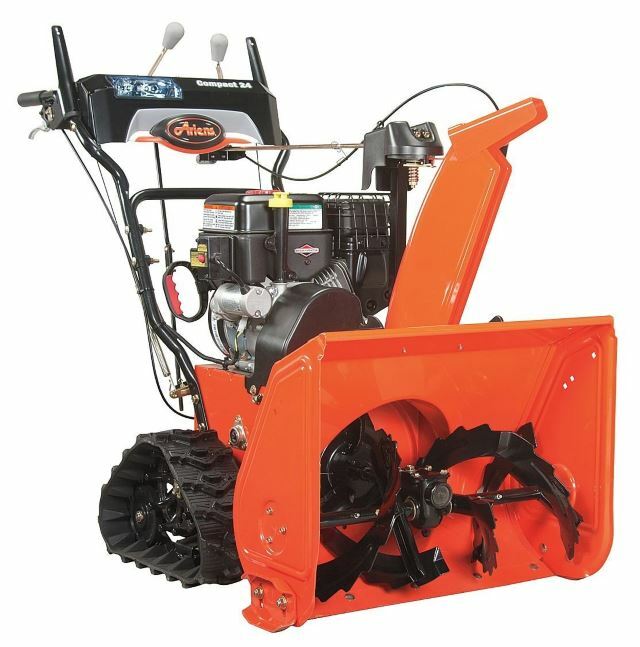 Available in only one model, the Track snow blower was built to answer the need of those areas that have steep drives. The Track model keeps consistent traction with whatever type of surface you move it over, ensuring consistency and efficiency when clearing the snow. Featuring 6 different forward speeds, and 2 reverse, this is a model built for serious homeowners who need the extra support for their uneven, or steep terrain. Precise speed controls allow you to dictate the power to the tracks, and keep you digging into your climb without worrying about slippage. This is also convenient when backing down a hill as you you have better control over such a large machine. The housing height is also adjustable to provide you with the opportunity to move over variable surfaces without getting hung up. Available in two different models, the Rapid Track series is the answer to consumer’s needs for more than what the Track series offers. With variable settings depending on the surface you are clearing, like the Track it keeps consistent contact with the terrain, but offers three different modes to tackle clearing, maneuverability, or ‘dig-in’, all which you can switch between while on the go. 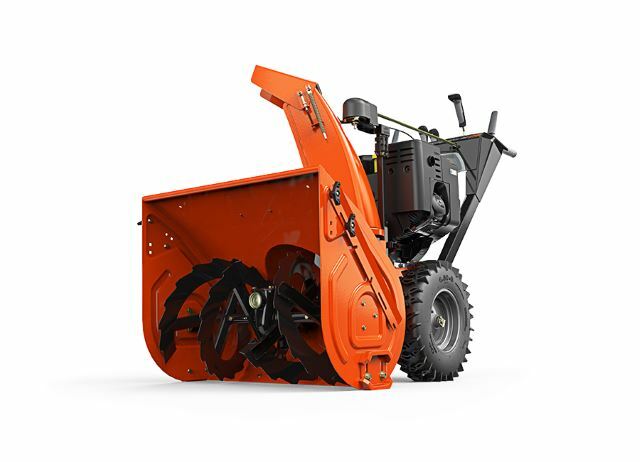 Able to move between 79 and 90 tons per hour, this is a machine that is built for landscape durability without sacrificing power and efficiency. 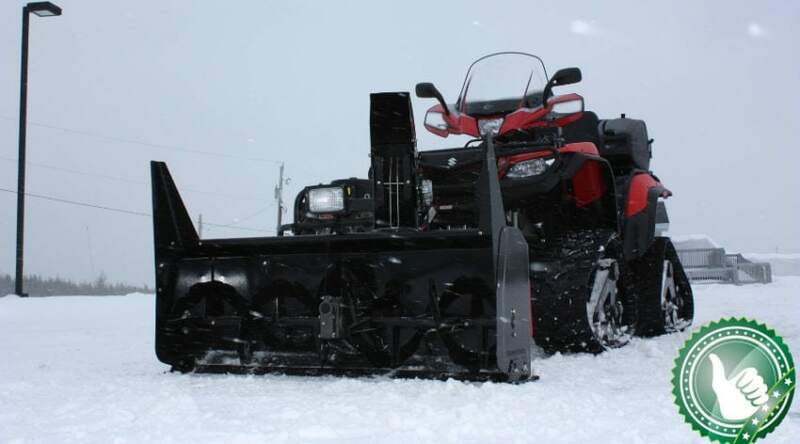 The seriously large 420cc engine provides the power needed to get your snow moving, and power up and over anything in the way. This single stage, 4 model series is amongst one of their smaller offered for residential use. 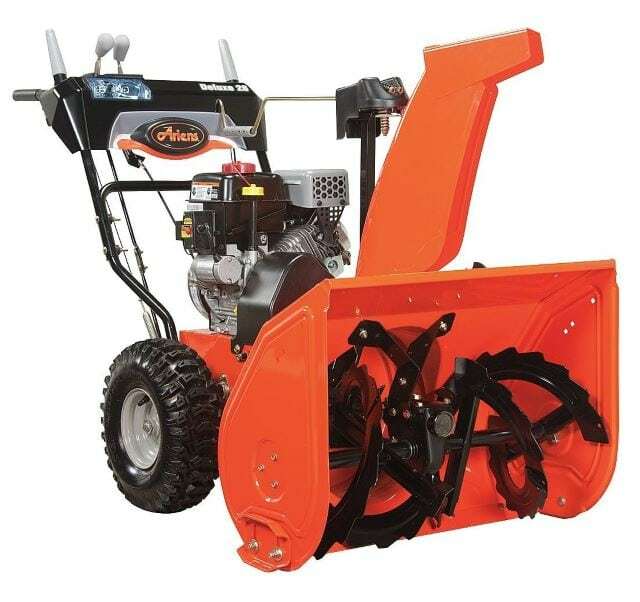 With powerful 136cc to 208cc engines, and a clearing width of 21 inches, these machines can make short work of small to moderate snowfall rather quickly. Weighing approximately 107 pounds makes it easy to maneuver, and the compact design and foldable handle allows it to store well. The chute can also rotate 210 degrees to help throw snow up to 35 feet in almost any direction you need. 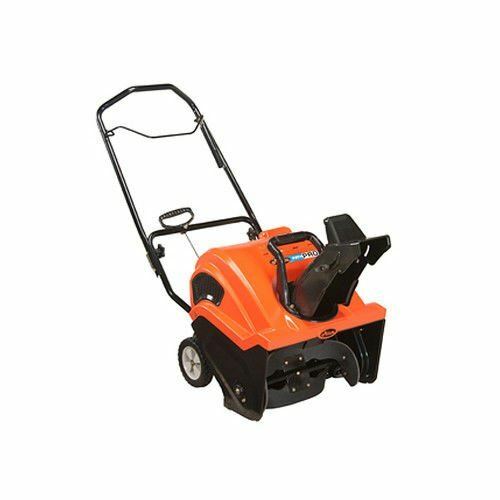 Specific to residential use, these are great model for homeowners looking for a dependable machine for quick snow removal. Made to tackle inclimate weather where small amounts of regular snowfall occur, the Path-Pro Series should get you through a season with ease. Compact and easy to handle, 3 models round out the Compact Series to provide serious residential or commercial use. 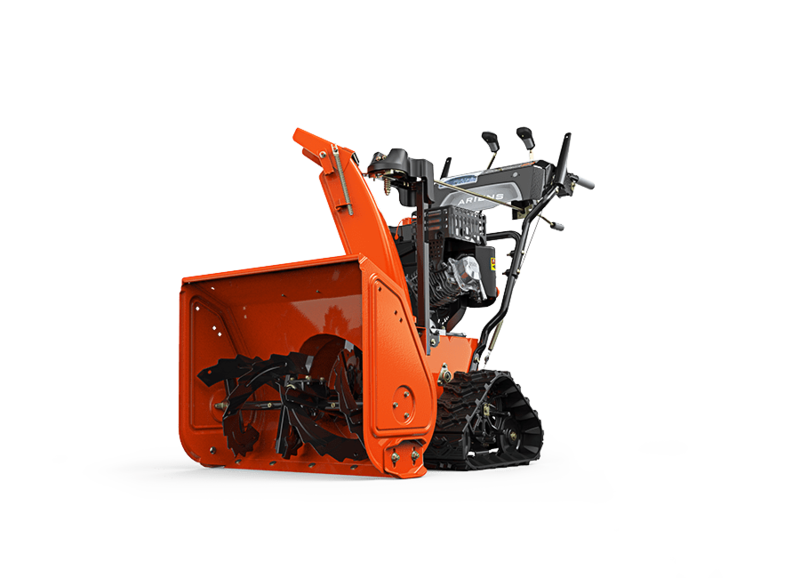 A powerful 223cc motor, a choice between 15 inch threaded tires or a track system helps keep traction with the ground, and remote chute and cap rotation let you work one-handed as the system practically drives itself. The 20 to 24 inch clearance width and 20 inch high housing lets you tackle series snow quickly and efficiently. These machines are built to handle heavy snowfalls both at home and commercially. The compact size and folding handlebars lets them store with ease, and also helps with transport. The Deluxe Series are versatile and powerful. Made for serious snow, the giant 21 inch housing supports up to a 30 inch clearance width. Made from all steel and cast iron, this is a durable machine to get the job done. Serrated augers, auto-turn steering, and large 16 inch treaded tires keeps you moving even in the worst of conditions. A powerful 14 inch impeller moves 62 to 71 tons of snow an hour and up to 55 feet away. These also have an optional electronic fuel injected engine to conserve fuel and and deliver more consistent power. These are machines built for homeowners that need the extra power, or for commercial businesses who want a dependable product. 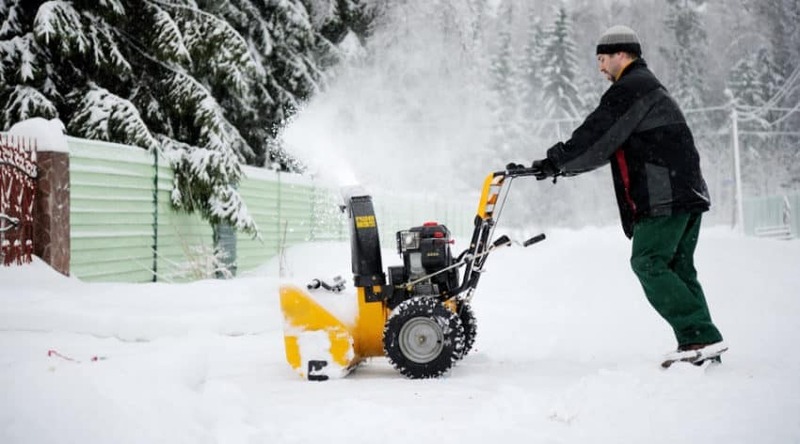 If you have been exploring a new snow blower, or reviewing the many companies that produce quality products, hopefully this article has been helpful in explaining what the Ariens Company has to offer, and what their product claims are. The long standing tradition of building quality products that stands up to a family name is well worth considering when making an investment of this size. 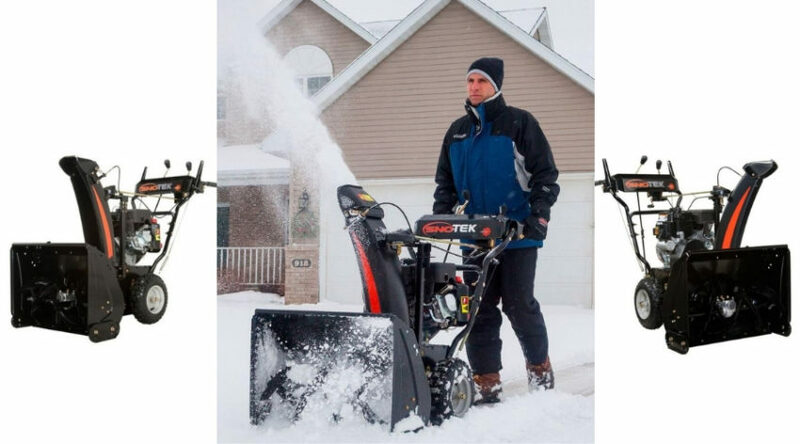 If you have any further questions,or have used an Ariens product yourself, we’d love to hear about it below. And, as always, please share!